You’re conscious about the environment, so you always try to recycle everything you can. You may have even taken extra steps to reduce your consumption of plastics because you know that carrying a reusable water bottle and bringing your cloth bags to the grocery store make a big difference. Unfortunately, not everyone is up for the “reuse” portion of the “Reduce. Reuse. Recycle.” mantra. The following ideas should spark some creativity and get you thinking about ways you can reuse items that you might otherwise throw away or put into the recycling bin. Glass jars make sturdy containers for a variety of items. You could use the larger ones like spaghetti sauce jars to hold large utensils on your kitchen counter and a collection of smaller jars for things like cotton balls in the bathroom. If you have an abundance of baby food jars, turn them into a magnetic spice rack. If you want to reuse a glass container that once held a candle, here are some tips for getting the wax out. Breaking your favourite teacup is a bummer until you realize you can repurpose it into something even more beautiful – mosaics. 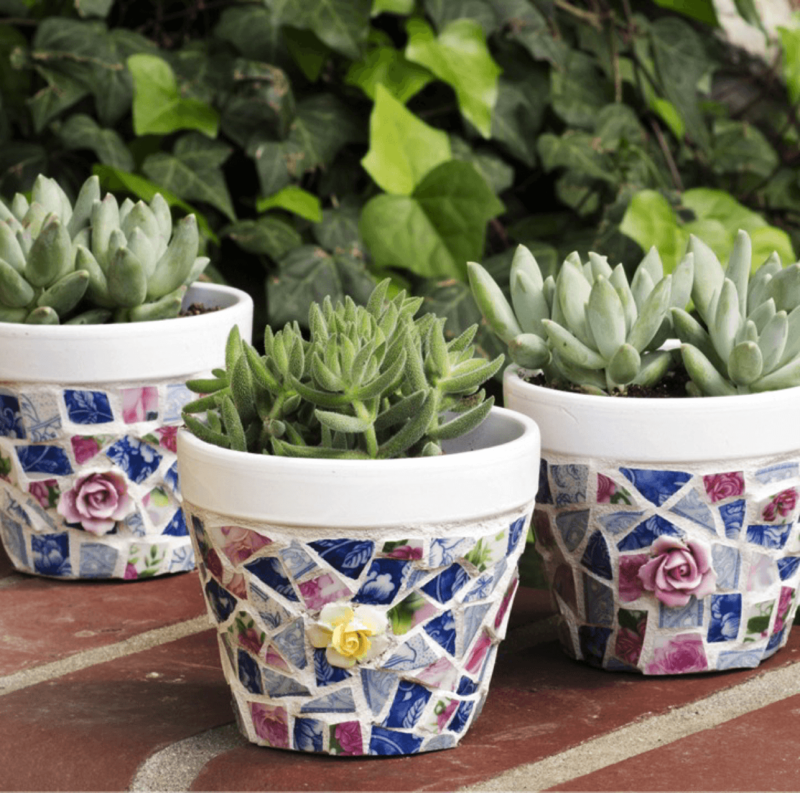 You can use this mosaic technique to cover things like flower pots or make some stepping stones for your garden. Don’t break things just to get the look. Consider saving them over time until you have enough to complete the project you have in your mind. Start saving those toilet paper rolls so that you’ll always have some on hand. They work well for keeping cords organized, and you can also use them to create your own biodegradable seed starters. FaveCrafts offers a number of ideas for using the cardboard tubes in crafts that kids and adults will both enjoy. There’s no need to put your scrap paper and outdated business cards into the recycling bin if the back side is blank. You can use those old business cards to make flashcard games to help the kids study. Just write words or math facts on the back side, then play some games. Here are some ideas for flashcard games, but there are also plenty of ideas on Pinterest. For the scrap paper, cut it into smaller pieces, then put them in a container somewhere in the kitchen. Use the paper for your shopping list, to-do lists, lunch notes for the kids, or any other little note you need to take. Think twice before throwing ripped clothes or towels away. If you have some sewing skills, you can take some of those ripped clothes and turn them into something completely new. Transform old t-shirts into rag rug to brighten up the place, and towels can be cut to make cleaning rags. If you really are ready to throw things away, look for places that can reuse the items. For instance, animal shelters are sometimes looking for old towels to help with messes. Sometimes, you have a piece of furniture that’s still in good condition, but it looks a bit outdated or it just no longer matches your personal style. For instance, many people have large entertainment units that don’t fit the modern TVs. 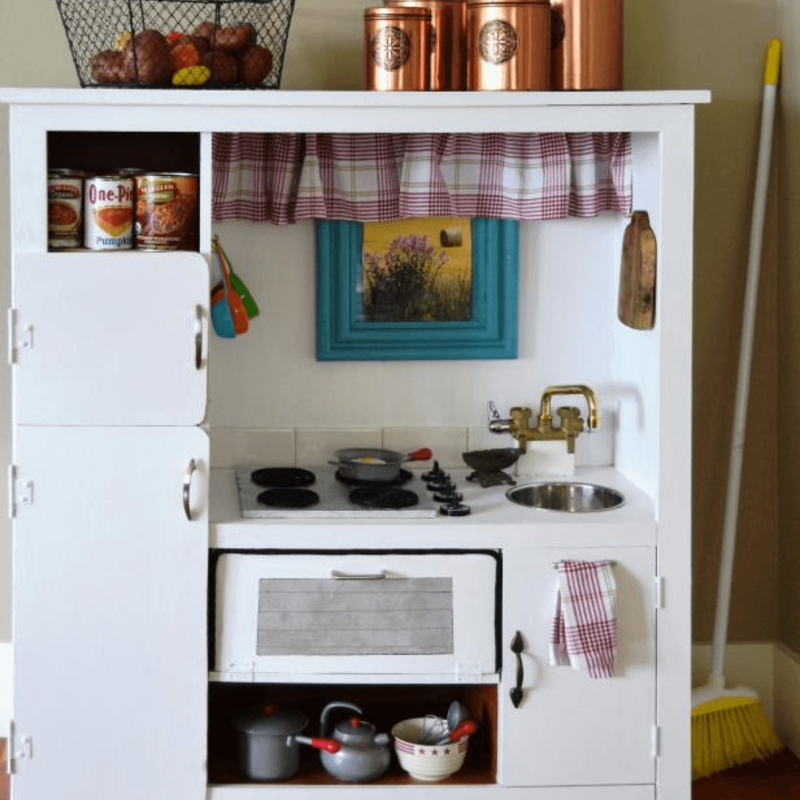 If you have kids, you could turn this piece into a cute DIY play kitchen. If not, you might enjoy the idea of turning an entertainment unit into a bar. 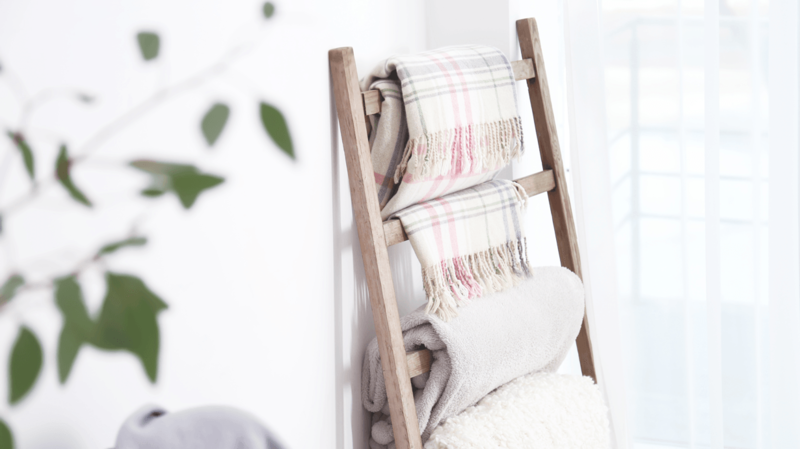 A wiggly wooden ladder isn’t safe for use around the home, but you can still make it work for you. You can hang it in the laundry room to use as a drying rack for those clothes that can’t go into the dryer. Alternatively, use it as a blanket holder in the living room. The key to making either of these ideas look great is to carefully paint or stain the ladder to match the rest of your décor. Plastic containers can easily serve a variety of purposes. Many people enjoy making bird feeders out of water bottles. You just cut some holes in the bottle and add some sticks for the birds to stand on. They can also make simple funnels when you cut the bottom off. Let your kids play with the funnels in a sandbox or a box full of rice.